LAS VEGAS -- June 19, 2013 -- Hasbro, Inc. today announced that its global licensing program supporting the popular MY LITTLE PONY brand will touch every major category immersing girls in entertaining, inventive, stylish, and fun MY LITTLE PONY lifestyle experiences. Inspired by the widely appealing, My Little Pony: Friendship is Magic animated television series, licensed merchandise from publishing to digital gaming, plush, and fashion & beauty is set to arrive at retail throughout 2013. "The MY LITTLE PONY brand is experiencing explosive growth paving the way for highly thoughtful licensing programs that further extend the brand engagement in new and meaningful ways for millions of young girls around the globe," said Simon Waters, Senior Vice President of Global Brand Licensing and Publishing at Hasbro. LAS VEGAS -- June 18, 2013 -- Hasbro, Inc., today announced a strategic licensing program with Gramercy Products, Inc. to launch NERF DOG, a full range of NERF-inspired canine retrieving toys. The high-performance, tough and durable line will launch at Walmart stores throughout the U.S. beginning this summer followed by pet specialty stores in fall 2013. "NERF DOG is a great example of Hasbro's strategic approach to marrying the sports action category with key brands like NERF," said Simon Waters, Senior Vice President, Global Brand Licensing & Publishing at Hasbro. "The new NERF DOG line will perfectly translate the DNA of the NERF brand into a fresh breakout line that encapsulates the inner drive shared both by dogs and their owners to engage in over-the-top active play. It promises to be quite fun for all." 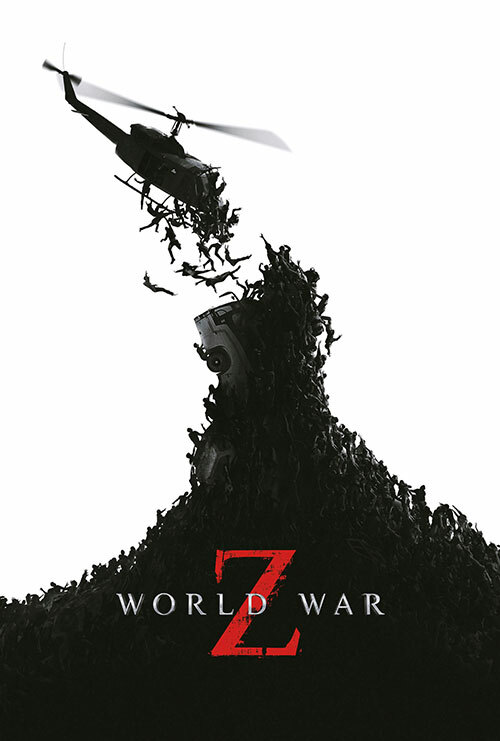 HOLLYWOOD, Calif., June 18, 2013 -- Paramount Licensing today announced its slate of worldwide licensing partners in support of the highly anticipated film "WORLD WAR Z," which opens in theaters nationwide on June 21st. To extend the excitement of the summer film event, Paramount is rolling out a robust in-theatre merchandise program highlighted by mobile pop up stores in select theaters, creating a limited line of products to celebrate fan generated art, and strategically aligning with a select group of toy, game, apparel and accessory, collectible, costume, publishing, and online licensees. Hillside, N.J. – June 18, 2013 – National Entertainment Collectibles Association (NECA), entertainment conglomerate and global leader in licensed consumer goods, in association with Twentieth Century Fox Consumer Products (FCP), has announced an exclusive global merchandise program around the groundbreaking animated series, THE SIMPSONS. The limited-edition boutique collection, announced today at Licensing Expo 2013, will feature twenty-five of the greatest guest stars who have appeared as themselves on THE SIMPSONS. The first five guest stars to be featured will include James Brown, Tom Hanks, Kid Rock, Yao Ming and Hugh Hefner. Burbank, Calif., June 18, 2013 -- Warner Bros. Consumer Products (WBCP) has signed a slate of renowned global licensees, led by master toy partner Bandai America Incorporated, to capture the adventurous thrills of Warner Bros. Pictures' and Legendary Pictures' highly anticipated film Godzilla. Returning the character to its epic roots, Godzilla stomps into theaters on May 16, 2014, with a star cast including Aaron Taylor-Johnson, Ken Watanabe, Elizabeth Olsen and Juliette Binoche, with David Strathairn and Bryan Cranston. Featuring spectacular creatures, thrilling action, epic battles and a legendary monster, Godzilla provides the backbone for a monstrous merchandise offering for fans of all ages and enables compelling cross-category opportunities across mass and specialty retailers. LAS VEGAS -- June 11, 2012 -- Hasbro, Inc. is set to arrive at the 2012 International Licensing Expo in Las Vegas on June 12 to showcase its global mega brands, including TRANSFORMERS, NERF, MY LITTLE PONY, LITTLEST PET SHOP, MONOPOLY, PLAYSKOOL and G.I. JOE. Ranked as a top 10 global licensor based on annual retail sales, Hasbro is continuing to expand its worldwide licensing programs, invest in resources and talent and generate incremental revenues from merchandise, digital gaming, box office and television programming. "Hasbro continues to accelerate its retail footprint based on highly innovative and on-trend licensed merchandise and supporting programs that resonate with today's global consumer," said Simon Waters, Senior Vice President, Global Brand Licensing and Publishing at Hasbro. "Our track record and relationships with retailers and licensees worldwide has positioned the company to become the preeminent provider of immersive lifestyle brand experiences for the entire family." LAS VEGAS -- June 11, 2012 -- At the 2012 Las Vegas Licensing International Expo, Mattel, Inc. will showcase its powerful portfolio of iconic brands and successful properties. Mattel is the worldwide leader in the design, manufacturing and the marketing of toys and family products, and leads the way in translating the most popular toy brands in the industry into lifestyle brands through innovative and impactful partnerships around the world. Las Vegas Licensing International Expo will serve as the platform for the company to introduce new and exciting partnerships to an industry audience.